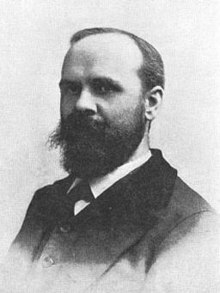 بنجامین تاکر (انگلیسی: Benjamin Tucker؛ ۱۷ آوریل ۱۸۵۴ – ۲۲ ژوئن ۱۹۳۹(1939-06-22)) روزنامه‌نگار و فیلسوف اهل ایالات متحده آمریکا بود. تاکر از جمله مدافعین آنارشیسم فردگرا در آمریکا در قرن نوزدهم بود و به آن عنوان «جفرسونیسم غیر وحشت زده» را داده بود. او ناشر و دبیر نشریهٔ آنارشیستی لیبرتی بود. ↑ David Hart. "Gustave De Molinari And The Anti-Statist Liberal Tradition". The Journal of Libertarian Studies, Vol. VI, No. 1 (Winter 1982), p. 87 (online; PDF p. 5): "Tucker was definitely aware of Molinari's work and at least one of Molinari's books was reviewed in Tucker's magazine. He shared Molinari's view that the production of security was an economic commodity which could be better supplied by the free and unhampered market, thus going beyond the criticism of Herbert and Spencer and, arguing with Molinari, that the market could offer a positive and practical alternative to state monopoly defense." مشارکت‌کنندگان ویکی‌پدیا. «Benjamin Tucker». در دانشنامهٔ ویکی‌پدیای انگلیسی، بازبینی‌شده در ۲۷ دسامبر ۲۰۱۴. «Benjamin_Tucker». بازبینی‌شده در ۲۷ دسامبر ۲۰۱۴. در ویکی‌انبار پرونده‌هایی دربارهٔ بنجامین تاکر موجود است.